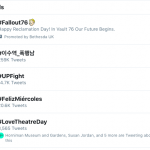 Once again, the hashtag #LoveTheatreDay was world trending by 11 am and remained on the list for 5-6 hours. It stayed top trending in the UK pretty much all day. But trending does not matter to me. What does matter is people participating. And they did. From students to professionals, people were very open about sharing why they love theatre. Or Theater. (I noticed that both were being used as was #LoveTheatre #LoveTheatreDay2018 etc). 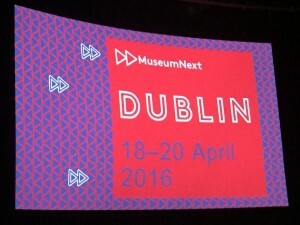 MuseumNext was held in Dublin 18-20 of April. A few of us decided to make the most of our first time in Dublin and arrived on the Saturday to start exploring early. We weren’t the only ones! A Spirited History at National Gallery of Ireland which had representatives from Guinness, Jamison company and another archivist. Having visited Guinness Storehouse it was fascinating to see the balance of teaching the story through the archive and providing an experience for the general public (20% of people who come to Guinness Storehouse have never tried it), the point was they have a brand name people know and recognize and through the Storehouse have to share the story and not let those people down who come for another reason (adverts etc). 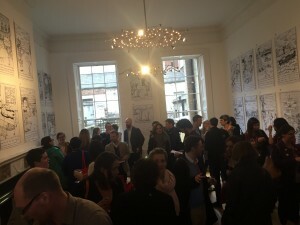 In the evening, Mark Macleod and I hosted the Networking for First Timers at the Little Museum of Dublin. The venue was perfect and it was great that non-first timers knew they were more than welcomed to attend.